Joshua Tree National Park will temporarily close on Thursday at 8am to clean up the damage done to the park during the government shutdown. While the National Park Service says access to the park should be restored “in the coming days,” the L.A. Times reports that the park is likely to stay closed until the partial government shutdown is resolved. The closure comes after “incidents of new roads being created by motorists and the destruction of Joshua trees in recent days,” according a statement issued. In order to carry out the necessary maintenance, the National Park Service has taken the unprecedented move of dipping into funds from entrance fees, which have typically been reserved for future park enhancements as opposed to daily running costs. Since a partial government shutdown began on December 22, stories both uplifting and deflating have floated out of Joshua Tree. Despite National Park Service employees being furloughed, Joshua Tree remained opened, free of charge—which brought trash and off-trail crowds during the busy holiday season. But at the same time, a dedicated group of volunteers has swooped in to pick up litter, empty trashcans and clean up and restock restrooms. Joshua Tree National Park will temporarily close effective 8 am on Thursday, January 10, to allow park staff to address sanitation, safety, and resource protection issues in the park that have arisen during the lapse in appropriations. Park officials plan to restore accessibility to the park in addition to limited basic services in the coming days. 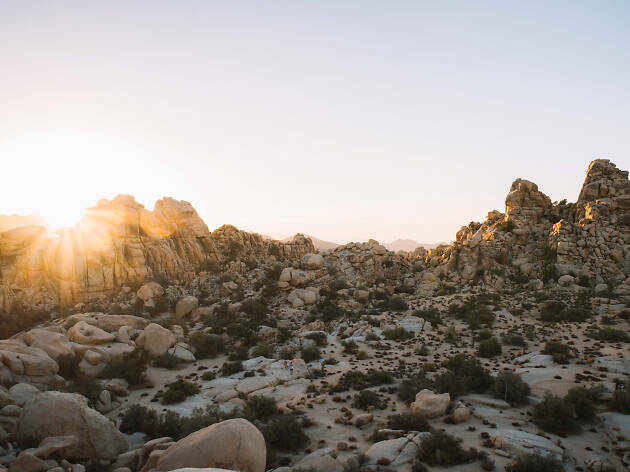 The communities near Joshua Tree National Park have provided significant assistance and support to the park, and park officials hope to restore visitor access to the park as quickly as possible to mitigate any negative impact to the local economy.